Being a Landlord, Is it Worth Owning Rental Property? Some finance bloggers talk about being a landlord as if it is very easy, but is it? A lot of people are searching for ways to increase their income and many people find investing in rental real estate and being a landlord as a viable way of increasing wealth over the long term. The idea is simple and easy for most people to understand, so it’s natural that so many people are being a landlord now a days. Real estate is what I enjoy to research. First I want to look at real estate in my nearby area, particularly a single family home. I live in a better suburb of Cincinnati, OH. The taxes are reasonable (slightly higher than other areas of Cincinnati, but overall fairly cheap). Assume a 20% down payment, lets say you buy the property for $65,000 after all fees and closing. Disaster Fund ($1000 a year / 12) = $83.33 – Roof, A/C, Furnace, Water Problems, Deductible, Etc. How much can you rent it for – This is a debate. 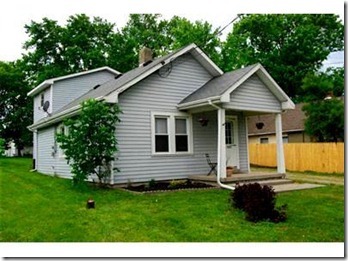 Lets say you can get $950 for this home. It is in good condition, but not in the best place within the good suburb. 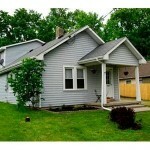 Also I want to state this is the cheapest single family home within the area. Deduction: You can depreciate the value of the Structure, but not the land. Lets be favorable and say you can deduct $50,000 of the $65,000 over 27.5 years (what is current permitted). That is $1818 a year. We will come back to this. What about occupancy rate. Are you planning on having this rented 12 out of 12 months? Sure, but that’s not realistic. You make get a tenant that lives there 30 years straight, but more likely than not you should plan at least 5-11% vacancy. Lets call it 1 month a year (8.3% vacancy). Note: Rehab and Repairs can increase this greatly.